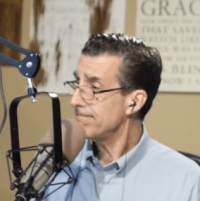 In a series of recent broadcasts (posted below), Todd Friel of Wretched discusses the Social Justice movement that has infiltrated the Southern Baptist Convention (SBC) and evangelicalism. According to Friel, Social Justice “Christianity” is being advanced by Progressive Christian leaders such as Russell Moore of the SBC’s Ethics & Religious Liberty Commission; likewise, The Gospel Coalition, Acts 29 Network and 9Marks ministries are aggressively promoting social justice. Although Friel does not provide details, he comments on Critical Race Theory (the “big umbrella”), Postmodernism, Deconstructionism (on steroids), Intersectionality and Black Liberation theology. Christians must become familiar with these terms in order to understand what social justice really is and why it’s a dangerous movement. In short, it is repackaged Marxism. The Marxist ideology is first and foremost anti-biblical. History has shown that Marxism has been highly destructive to a society when Marxists get their way. This is why conservative evangelicals oppose the Social Justice movement. “It could blow up your church,” warns Todd .